If the upcoming midterm election does not repudiate the last one in the most strong terms, we will be condemned to at least two and perhaps many more years of the same grimness we have endured since Trump became president. But as a California resident, in the part of the state where I live, about all I can contribute to the national results are dollars. Locally, where I live in Caifornia Assembly District 15, the race between two Democrats, Jovanka Beckles and Buffy Wicks is pitting a long-term local grass-roots progressive against … (wait for it) an Obama acolyte, complete with his recent endorsement and serious donor lists. California Secretary of State’s records here: http://cal-access.sos.ca.gov/Campaign/Candidates/ A first analysis of data collected 19 Aug is presented below. $710688 vs. $162104. But where is this money coming from? 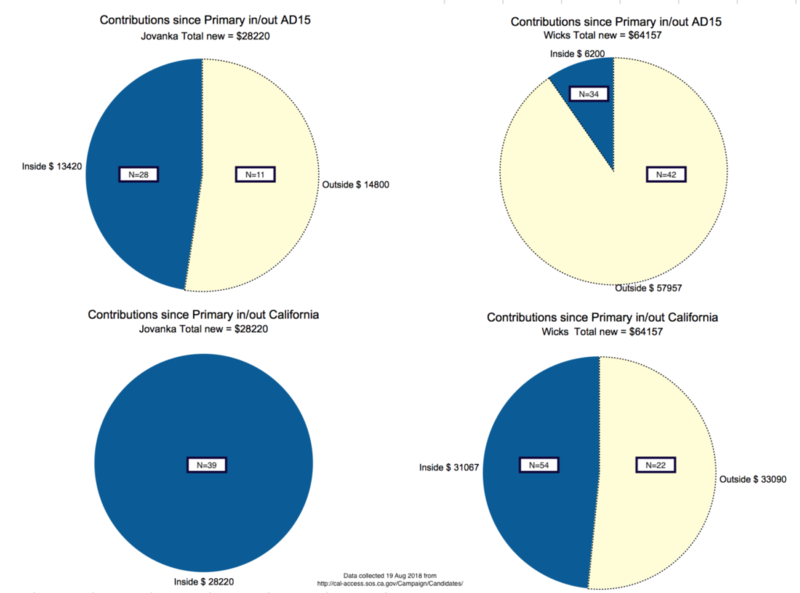 The first set of four pie charts break down campaign contributions according to two different “localities,” first donors in/out of (zip codes included in) AD15, and second those in/out of California. (The “N=” boxes are the number of contributions leading to these dollar totals.) 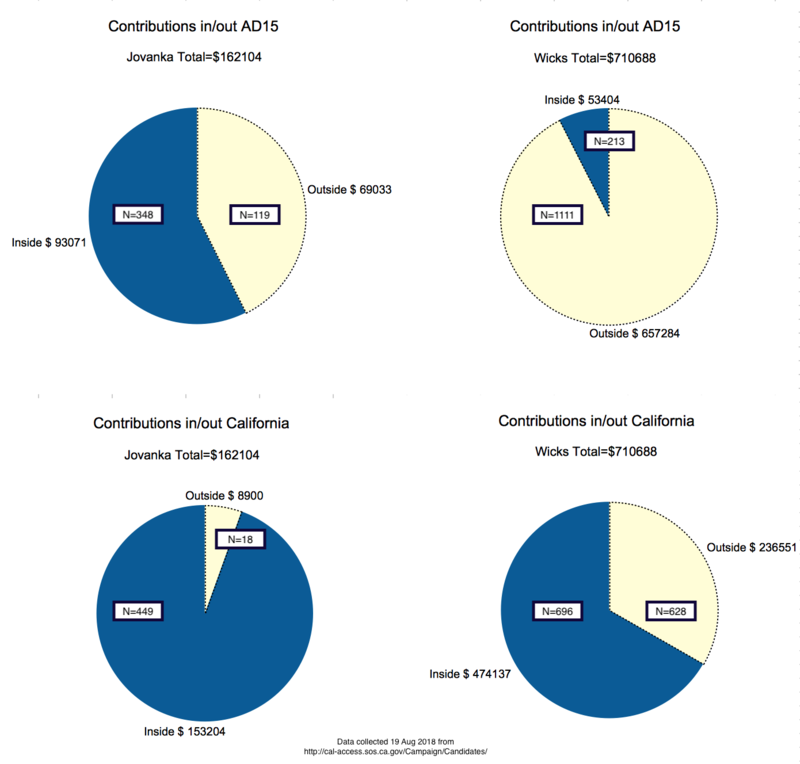 While 57% of Jovanka’s money is from donors within AD15, less than 8% of Wicks’ is. While 95% of Jovanka’s money is from donors within California, a third of Wicks’ comes from out of state. It will be interesting to see if the campaign contributions between now and November 6 follow similar patterns, and how voters react to where the money is coming from.